Medical experts are stressing the importance of research into the threats posed by antibiotic-resistant bacteria that can cause fatal infections, and how these can be tackled, in a National Institute for Health Research (NIHR) campaign. Antimicrobial resistance (AMR) – where antibiotics that were previously effective no longer work – is a priority for global health. Infections of this type are already estimated to cause 700,000 deaths a year, globally. This figure is set to spiral to 10 million by 2050 if no action is taken, NIHR warns. 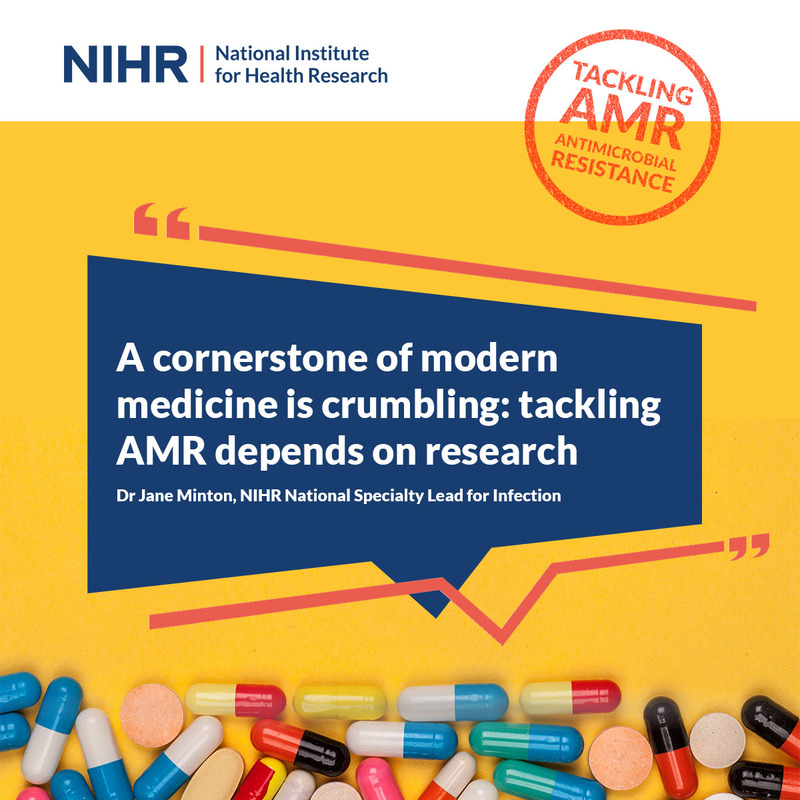 Its 'Tackling AMR' campaign, launched last week, highlights the role research has to play in combating the threat of AMR and how the NIHR can support researchers and other key players to deal with the problem. 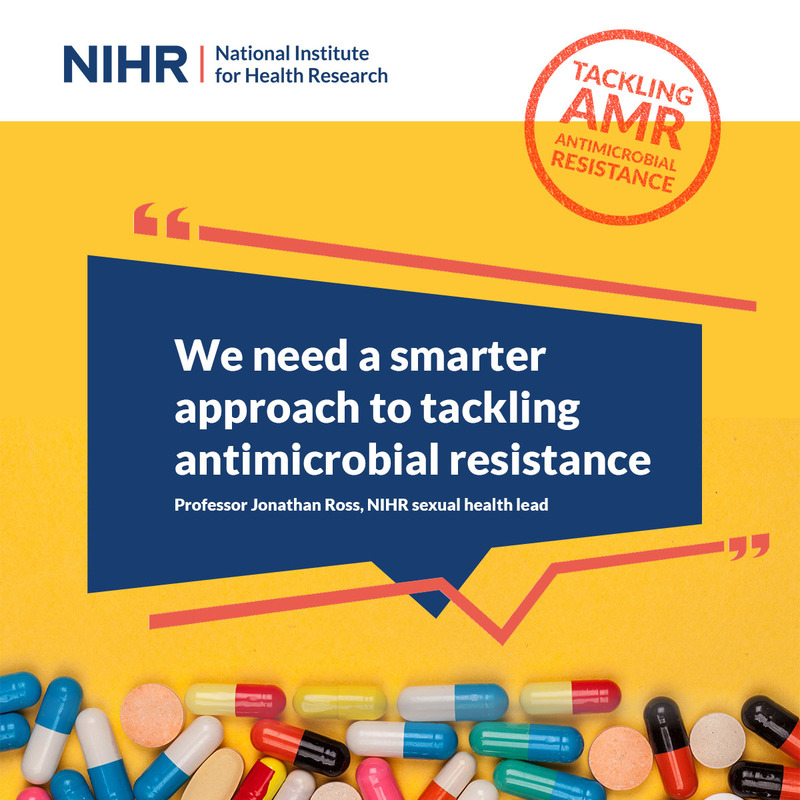 A key message is that NIHR has a track record of supporting studies in antimicrobial resistance and is at the vanguard of clinical research in the UK. The campaign is aimed at researchers and the life sciences industry, with thought-leadership pieces by NIHR experts placed in the British Medical Journal, National Health Executive and Research Fortnight. The research body, which is funded by the Department of Health and Social Care, has also created a bespoke campaign page on its website, with an image of tablets on a bold yellow background providing the basis for the look of the campaign materials. 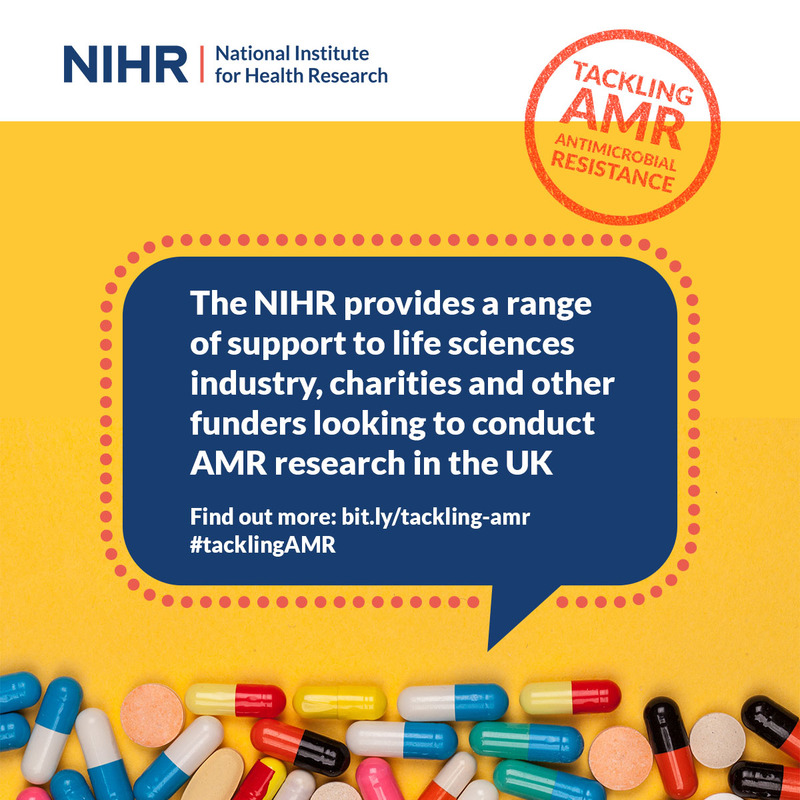 In addition to a news piece and blogs posted on the NIHR website, it has enlisted support from its regional comms teams, which have shared stories on social media about the NIHR’s support for AMR research in their areas. Campaign resources produced for social media include an infographic and quote cards, with #TacklingAMR used to promote the campaign across social-media channels including Facebook, LinkedIn and Twitter. 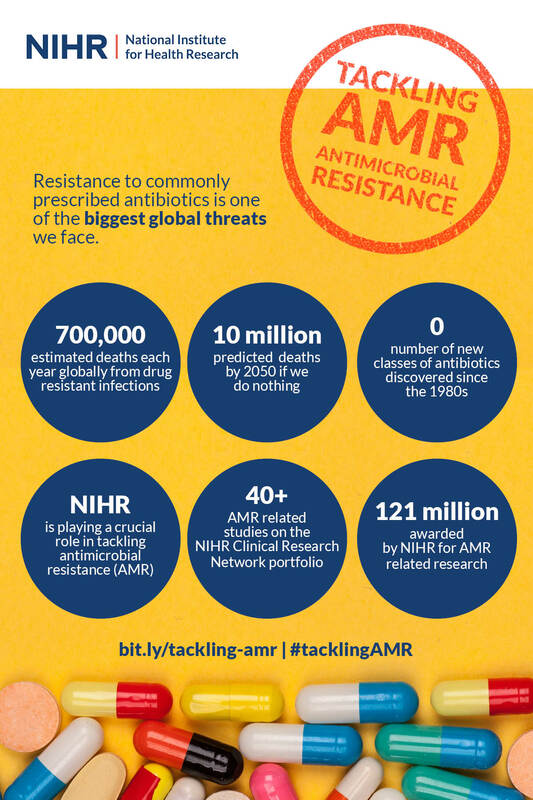 The campaign was also boosted by the NIHR’s sponsorship of The Economist's AMR Summit, which took place last week. Attendees were given campaign materials. The two-week campaign, which ends on Friday, features videos fronted by Dr Jane Minton, NIHR national speciality lead for infection, and Professor Martin Llewelyn, NIHR antimicrobial resistance lead, warning about the magnitude of the threat of AMR and stressing the importance of research. Dr Minton said: "Antimicrobial resistance is a major threat to healthcare but new antibiotics are not the only solution. Antibiotic stewardship, vaccines and new diagnostics all have a role to play." And Professor Llewelyn commented: "Acknowledging the enormous threat that antimicrobial resistance poses to the NHS, the NIHR is actively supporting AMR studies and we are looking increase the investigator-led and industry-funded studies on the Infection portfolio supported by the NIHR." 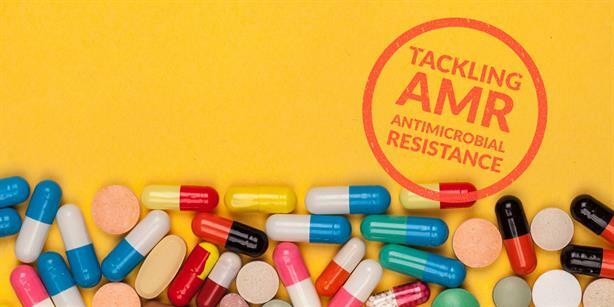 NIHR Clinical Research Network comms manager Ross Hemingway told PRWeek: "The campaign aim is to associate the NIHR with support for research on antimicrobial resistance and to target specifically researchers and the life sciences industry keen to conduct research in this area." He added: "The campaign messaging was geared towards highlighting NIHR’s support for researchers and the life sciences industry through the voices of NIHR's experts. This meant media relations and thought leadership, in particular, playing an important role in the campaign. We also wanted the campaign to cut through on social media, so the use of the bold yellow colour theme and stamp-effect design helped achieve a striking and memorable look." The success of the campaign will be measured by an increase in traffic to the campaign page on the NIHR’s website and subsequent enquiries, Hemingway said.